you have an existing inactive account? Bwin is a well-known name in the world of sports and real-action betting. Their betting and games make fun and entertainment out of live action in sports, and even open up betting to the worlds of politics and entertainment (i.e. the oscars). They have a place for everyone from newbie to veteran players. 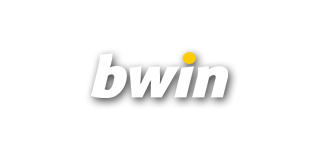 Bwin is a well-known sponsor of football clubs including names like Manchester United, Real Madrid, and Bayern Munich. Bwin Poker has its online casino and poker services licensed and regulated by the government of Gibraltar. Bwin Poker is an entity owned by ElectraWorks Limited which has met all the strict supervisory requirements of the Gibraltar Government. Bwin was even listed on the Vienna Stock Exchange until its merger with PartyGaming plc in the year 2011, which created Bwin.Party Digital Entertainment. This company was then purchased by GVC Holdings in February 2016 and GVC continues to use Bwin the same as PartyPoker as a brand. BwinPoker is a part of the partypoker network, which means you will find great cash game actiona fantastic tournaments schedule and amazing promotions at any given time. You find here every kind of poker games such as Texas Hold’em, Omaha, Stud, Five Card Draw as well as popular modern formats like Fast-Fold Poker and Spin & Gos or the new asian variant Short Deck Holdem. Many still think that Bwin does not have a decent rakeback deal, which is completely wrong. Bwin has almost the same rakeback program as the big brother PartyPoker, which only differs in the number of points you have to earn for the given levels. And at Bwin you also get rakeback if you only generate 2.50$ rake/fees a week, where PartyPoker gives you something starting at 25$. Players can earn up to 40% rakeback each week depending on the number of points accumulated. The payouts are always automatically every Monday to the player account. Every players needs to make on time the opt in and everything else then runs automatically. Your progress can always be tracked up in the poker client when logged in. In the table below, you can see a list of how many Bwin Points you need and how much Rakeback you will receive. Otherwise, there are always some interesting extra promotions at Bwin which bring some extra rakeback. There are also some interesting reload bonuses or free tournament tickets. Please note: If you have an old existing account, our support team can help you maybe to retag your old account, or to open a new one that you can enjoy our exclusive promotion and receive extra rakeback. Please note that this make only sense if your existing account was a long time not active. If you way playing 1-2 month ago there is nothing we can do. Further information about this topic you can find HERE. Receive up to 60% Rakeback with our exclusive VIP Rakeback Deals! When it comes to big poker tournaments, Bwin offers togetether with PartyPoker the cream of the crop. 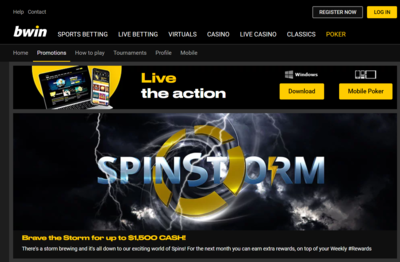 Bwin and its peer PokerStars offer the best online tournaments available. There are numerous big events every day with options for every bankroll. Whether a beginner or high roller, all types of players will find a good time. Every week their are tournamentes with minimum 6 Million USD Gtd. Several times a year, the Powerfest boasts millions of guaranteed prize money and attracts thousands of players at their online tables. The Powerfest events are always an absolute highlight and guaranteed prize money of 20-30 million is not uncommon. In addition to the Powerfest, there are also occasionally small tournament series and promotions. Anyone who enjoys playing poker tournaments and wants to cash in on big winnings is at the right place at Bwin. Take a look at the fantastic tournaments Bwin offers their players every day. Bwin and it’s holding company Elektraworks have top-notch security. Registration and compliance with the European E-Commerce Directive means that ElectraWorks is keen on protecting your customer data from manipulation, loss, and unauthorized access by third parties. Bwin Poker starts its player sorting process right from the moment you register an account with them. You are required to register an account with your full name, address, and date of birth. This is their first step in preventing minors from accessing their gaming products. All winning payments need to be verified with this information at the time of payout. This goes a long way in preventing money laundering and betting manipulation. ElectraWorks limited uses encryption technology from VeriSign in communication with customers on all web browsers. To prevent online game addiction, The GVC Group which owns ElectraWorks has collaborated with various bodies like Havard Medical School and Cambridge Health Alliance to develop comprehensive gaming addition prevention programs. Bwin is part of the Party Network meaning that there are always full games, cash game tables, and tournaments running 24 hours a day. Bwin’s cash game scene is particularly robust and you can find games ranging from micro limits up to high roller limits. As with all online poker rooms, the majority of the players are playing Texas Holdem Poker. Bwin also offers varieties like Omaha, Seven Card Stud Poker Short Deck Holdem, Six Plus Holdem, and you’ll find plenty of players at peak times. Especially the Pot Limit Omaha Tables have from the Micro Limits up to the High Stakes really nice action. Additionally, Bwin offers the best multi-table tournaments in the online poker market. Every day there are numerous tournaments with guaranteed prize pools attracting an incredible number of players, and many beginners. For those who are looking for quick Sit & Go games, Bwin is the place to go. There are always robust games ay the $1-$20 limit table. We also highly recommended the 6max tables. Bwin’s software has been improved recently and includes many new features. The website is very clear and easy to navigate- you’ll find the game type and the limit you want with out a problem. They clearly list all current promotions and also their cash register where you can deposit and withdrawal your money is easy to use. Bwin also offers a great iOS or Android app for your phone. The app offers you the same features and user-friendly experience as the desktop version- you can download the app from the Bwin Homepage and log in as normal. There are a lot of different promotions at Bwin, so you shouldn’t have any trouble finding one that fits your style and allows you to earn more money. New players receive a fantastic welcome offer if they make a first deposit of minimum 10$. Every players will receive 25$ in from of different rewards and also a 100% up to 500$ deposit bonus. Among the highlights are clearly the Spin tables. These tables allow you to quickly multiply your buy-in up to 10,000 times through promotions. With only 1$ you can win incredible 10,000$ cash. There are several buy-in levels ranging from 1$ up to 250$. With just 5$ buy in you can win 1 Million USD! 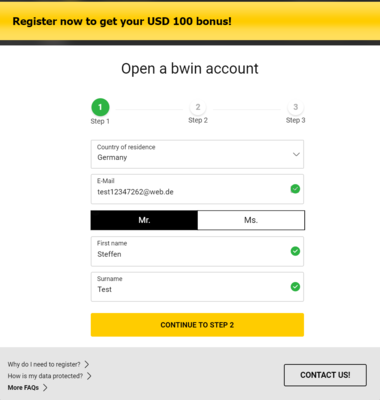 Once you become familiar with Bwin you’ll also find they offer great benefits to frequent players through weekly missions that guarantee easy cash prizes. All other Bwin promotions can be found at the bottom of this entry. Players have access to all known deposit and withdrawal options. Bwin is quick when processing payouts; all payment requests are usually processed within 24 hours. VIP players are bumped to the start of the line offering zero wait-time for account payouts. Afghanistan, American Samoa, Australia, Bermuda, Bulgaria, China, Congo (Republic Of The), French Guiana, Guam, Haiti, Hong Kong, India, Iran, Iraq, Israel, Lebanon, Liberia, Macedonia, Myanmar (Burma), North Korea, Northern Mariana Islands, Oman, Pakistan, Poland, Puerto Rico, Rwanda, Samoa, Sierra Leone, Singapore, Somalia, South Korea, Sudan, Syria, Turkey, Zimbabwe, Romania and Slovenia. Bwin brand speaks for itself. Bwin is one of the largest and most well-known companies in the online poker market. Their strong systems and security means they will continue to be one of the busiest and best sites on the internet. The site is available in several languages and support is multilingual and available 24/7. At Bwin you’ll find players from all over the world meaning good play 24 hours a day. Busy poker tables, and numerous extra promotions are strong arguments to head on over to Bwin. And if you want to stray a bit from poker, their sports betting is always a good time. Not able to open a new account because of your country location? Already have an existing account but would like to receive extra rakeback? Don’t worry, we can help you. Just contact our Support Team by email (info@yourpokerdream.net) or Skype (vip-yourpokerdream) for Deutsch/English Support 24/7. 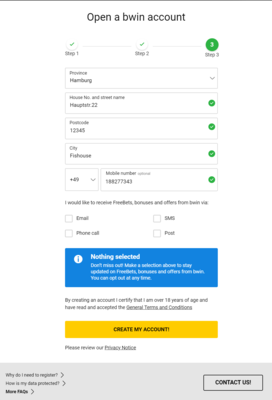 How i sign up correctly via YourPokerDream at Bwin Poker? Please follow the steps outlined here to make sure that you sign up correctly via YourPokerDream and benefit from the numerous exclusive benefits, such as extra rakeback, promotions, rake races, freeroll tournaments and much more. 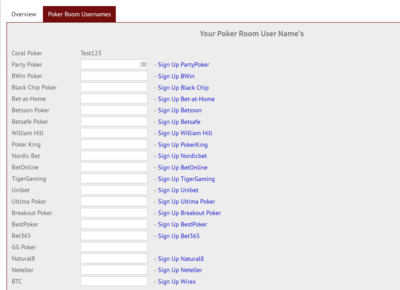 We can only guarantee this if you register correctly and if your player account is linked to YourPokerDream. Step3: The register window is opening. Just follow the steps and press at the end then create my account. 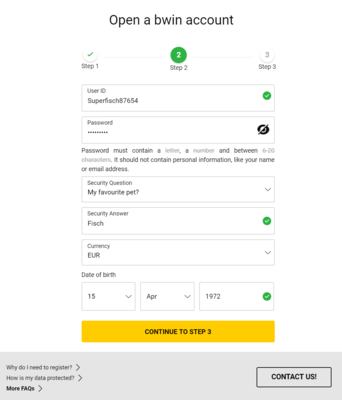 Step4: After you’ve successfully signed up for Bwin Poker, all you have to do is log in to your YourPokerDream account and enter the username which you have chosen at Bwin and press “save changes”. From this point on, everything will run automatically and you can use all exclusive offers from YourPokerDream in addition to the normal offers of partypoker. If you have not yet created a free YPD account, please click HERE.